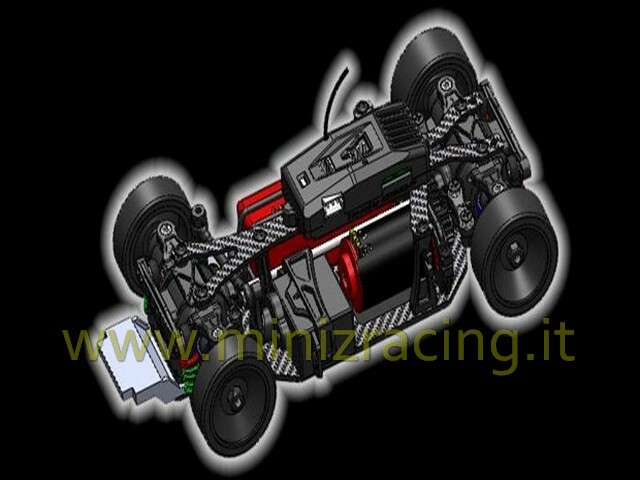 The famous company RC Atomic, have released a first rendering of their Mini-Z AMZ 4WD car kit. The car builds on a carbon main chassis and upper deck. The double wishbone suspension allows for droop, toe, camber and the shocks come grease. Included with the kit a 2.4GHz FHSS radio system and a micro ESC brushless by Hobbywing. This entry was posted on mercoledì, settembre 25th, 2013 at 16:21	and is filed under News, The cars. You can follow any responses to this entry through the RSS 2.0 feed. Responses are currently closed, but you can trackback from your own site.